Hi! 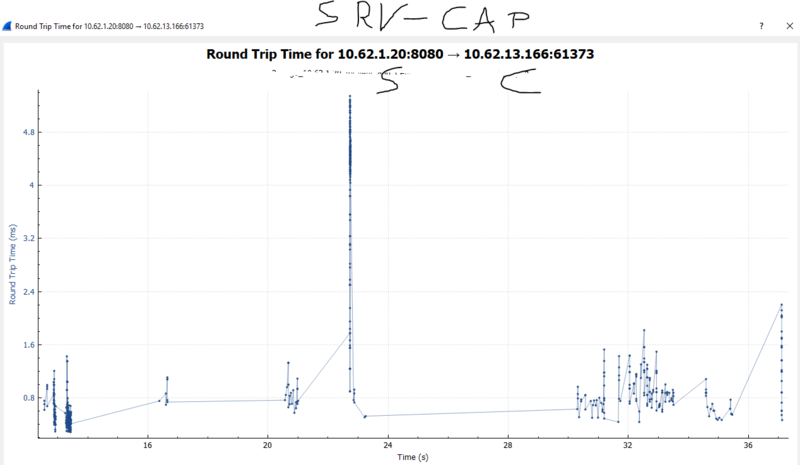 I have captured a TCP conversation which shows very different results in terms of RTT on client and server. Does this mean than only the network can have caused that massive RTT delay? Or what is my misunderstanding here? Unfortunately, the images aren't visible; that's probably because you don't have enough karma to post images yet. I'm not sure how you're measuring RTT, but if you're only looking at delta times from one packet to the next, then you're not really measuring RTT. 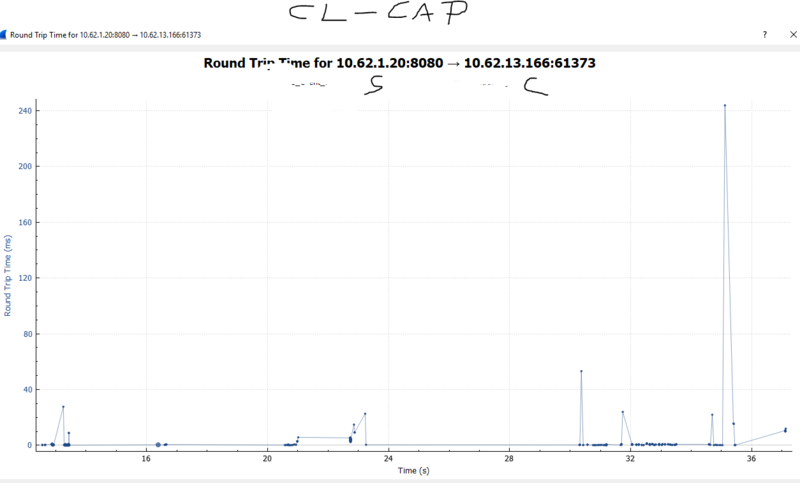 If you haven't seen it, Jasper Bongertz has written a very nice article on his blog called Determining TCP Initial Round Trip Time which you might find to be informative. In any case, if packet delta times are very short on the server side, then it seems that server processing time is small and if there are large packet delta times on the client side, then most likely that's due to the network latency then. It's hard to say for certain without examining some packet captures though, so if you're able to upload 2 capture files taken simultaneously on both the client and server to any online file sharing site, then someone may be able to analyze them and provide more feedback. FWIW, I do see the images. Strange. I've tried viewing this question with Firefox, Chrome, Edge and Explorer, but the images don't appear for me using any of them. Maybe my company is blocking them for some reason? Why does RTP Streams have 0 streams under the Telephony main menu. I started a capture, made an actual call, ended the call, ended the capture.